The Remarkable Friendship To Save The Whooping Cranes. Buy this best-selling children’s book that’s raising environmental awareness in youth. My book reinforces positive values - having faith, belief and perseverance - to preserve an endangered species. 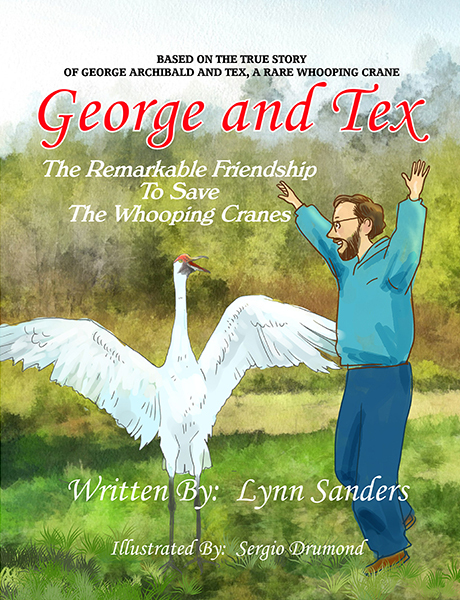 This true friendship story for ages 6-9, shares the amazing relationship between a man and rare bird that helped save the Whooping Cranes from extinction. Available in hardcover, paperback and ebook. Contact Lynn to learn how to be a sponsor and support your favorite nonprofit. 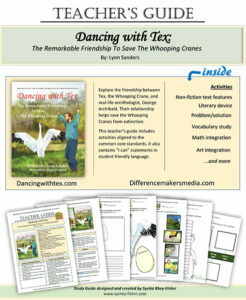 Original music and narration by Lynn Sanders brings the captivating story of “Dancing With Tex” to life. Teachers will appreciate using this Teacher’s Guide in the classroom. Each page draws upon common core values. Student worksheet samples are included. Created by teacher, Syeita Rhey-Fisher. It’s considered the third leading cause of death in our country. Right behind heart disease and cancer. What is it? Unnecessary deaths and medical errors in our hospitals. In 1999, The Institute of Medicine estimated that “up to 98,000 deaths per year” happened as a result of medical errors in the hospital. That figure was widely considered to be accurate by the media. However in 2013, in The Journal For Patient Safety, the estimate of unnecessary deaths has been revealed to be much higher… between 210,000 and 440,000 patients suffer preventable harm that results in death. Ironically, Lynn also became a victim of a medical error in the hospital in 2008. Fortunately, she was able to overcome the challenges that happened. It proves that no matter what -- we all must be prepared to prevent errors. Be sure to have an advocate at your side. 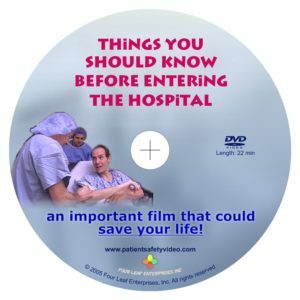 Learn more or purchase your own copy of this life-saving film at: www.patientsafetyvideo.com.